Antique and vintage costume jewelry is generally considered to be a relatively inexpensive alternative to fine jewelry, which is made from gold or silver and uses precious stones. We can find vintage costume jewelry made from all sorts of base metals and enhanced with semi precious stones, glass or faux jewels instead of the finer, more expensive alternatives. Costume jewelry is also called fashion jewelry. It is intended to be worn with a specific matching outfit or style. Not exactly disposable, but inexpensive enough to allow the user to buy many similar pieces to mix and match as accessories with fashions of the time. We buy vintage costume jewelry! 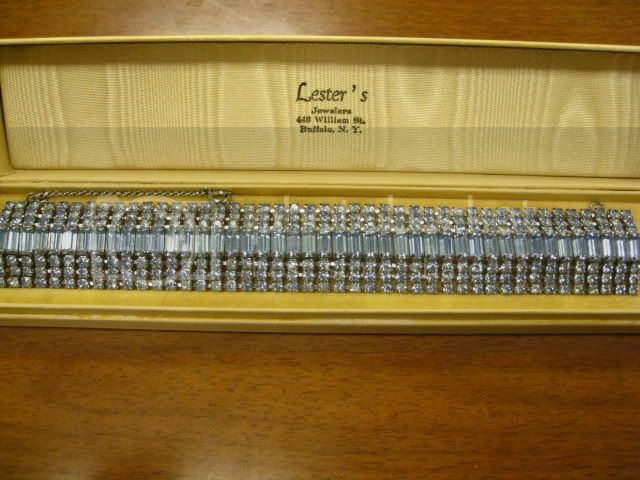 If you have any jewelry you would like to sell or have appraised Contact Us! THIS IS A VINTAGE PAIR OF LUNCH AT THE RITZ COLLECTIBLE FOOTBALL EARRINGS FROM RENOWNED NEW YORK DESIGNERS ESME HECHT AND ALEXIS WATTS TITLED "TOUCHDOWN". 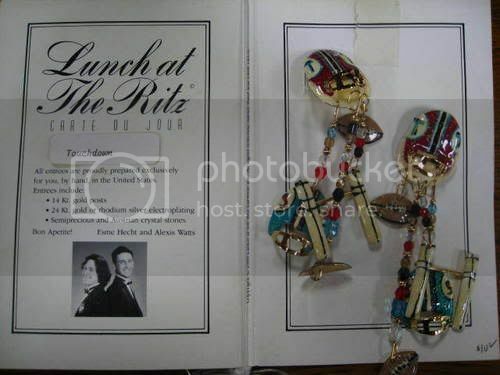 THIS SET COMES ON THEIR ORIGINAL MENU CARD AND THE EARRINGS ARE IN GREAT OVERALL CONDITION. Although antique costume jewelry was originally made for the masses, today it is very collectible. Designer costume jewelry with signatures of the famous names is the most sought after. We sell a lot of costume designer jewelry from makers such as Trifari, Weiss, Coro, Eisenberg, etc. Costume jewelry designer Miriam Haskell, is known for her very beautiful and intricate work. Also, great haute couture designers like Coco Chanel made costume jewelry to go with the outfits she sold. 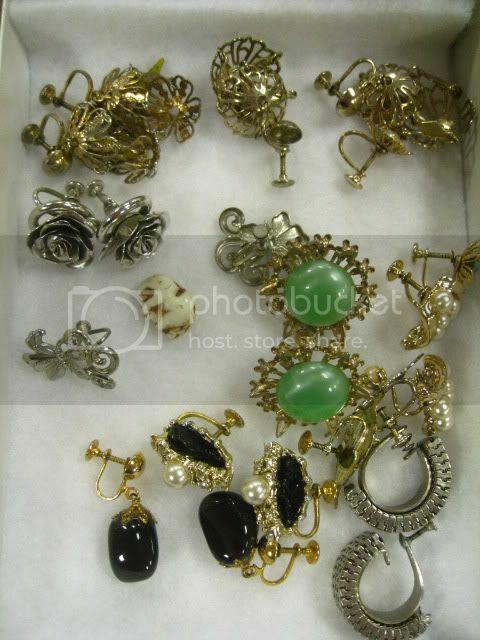 This is an assortment of vintage clip on earrings we have here in our mall. These are very fun jewelry pieces at a very low bargain. Here are more vintage costume earrings from our antiques mall. These are the screw back vintage earrings and we have them priced very very low. These look nice and are very fun pieces. Costume jewelry vintage or not, is still loved and worn today by many ladies who can afford more but enjoy the price and variety fashion jewelry has to offer. Did you know that First Lady, Barbara Bush, wore a triple strand of faux pearls to her husband’s presidential inauguration? Some antique and vintage costume jewelry is harder to find than others. Rhinestone costume jewelry can be found in every antiques mall across the country. Cameo pins are also very common. Bakelite jewelry, lucite, wood & celluloid jewelry all fall under the costume jewelry category and can be found readily. Vintage signed costume jewelry tends to be more desirable than similar unsigned pieces. 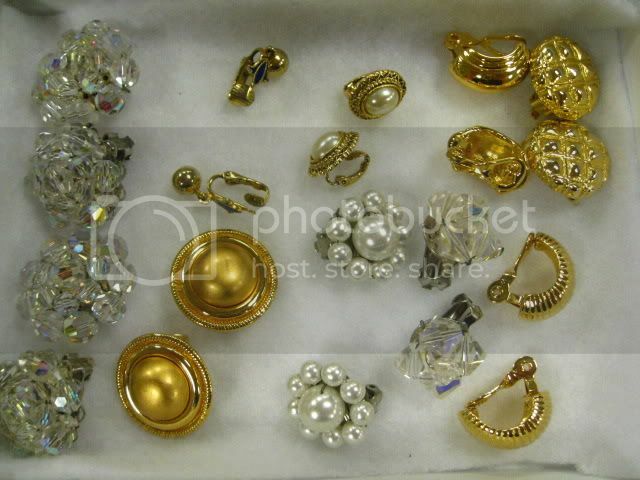 Designer costume jewelry wholesale prices can often be found at antiques stores, especially if you buy in bulk. 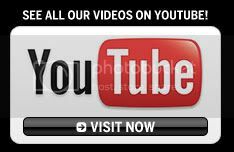 Go from Vintage Costume Jewelry to Gannon's Antiques home page!